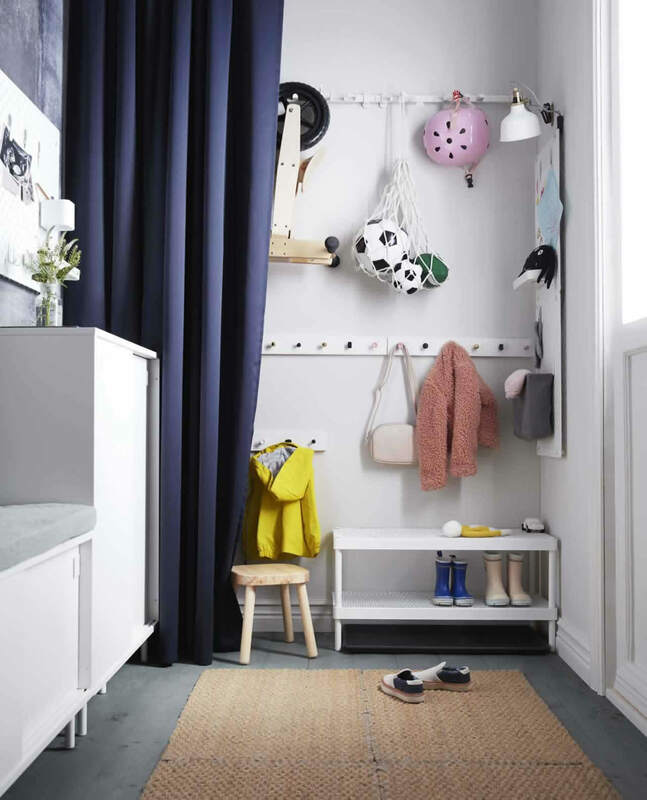 Keeping a small hall calm and tidy when you have kids can be a big challenge. Check out how to organise a family-friendly, functional space and stay true to your minimalist soul. In this hallway we use all the walls to maximise function. 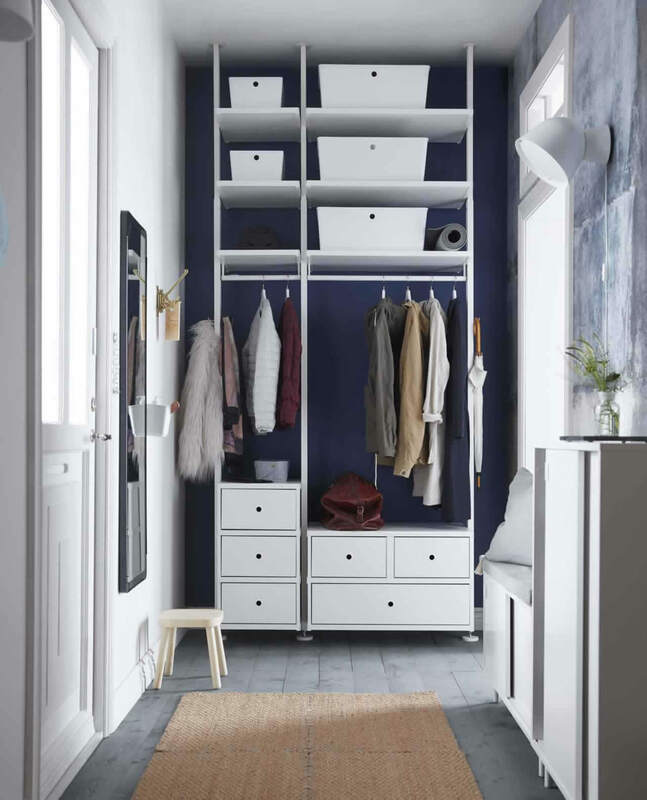 You’ve got closed storage for things you want to hide and an easy to reach open unit for stuff you want to show off. 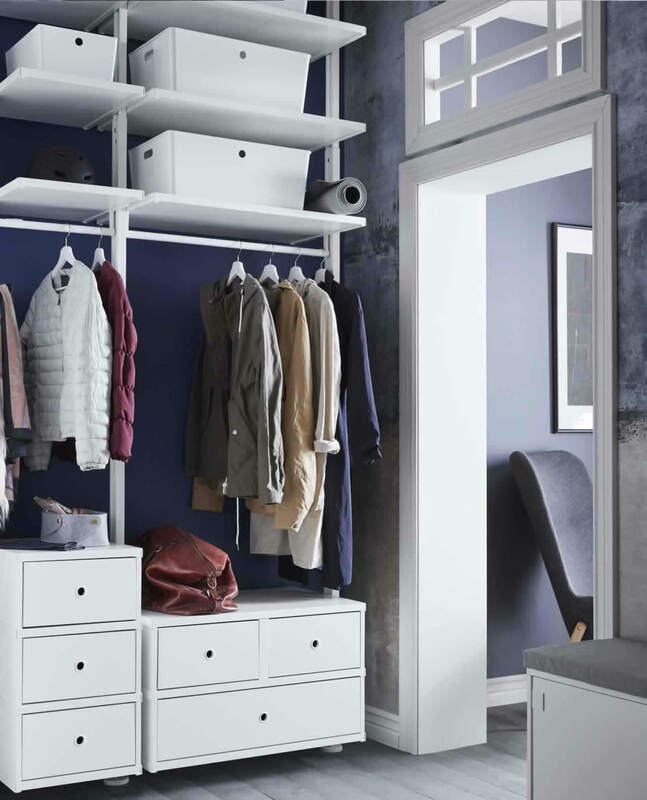 (Don’t worry, we show you how to make open storage look tidy). 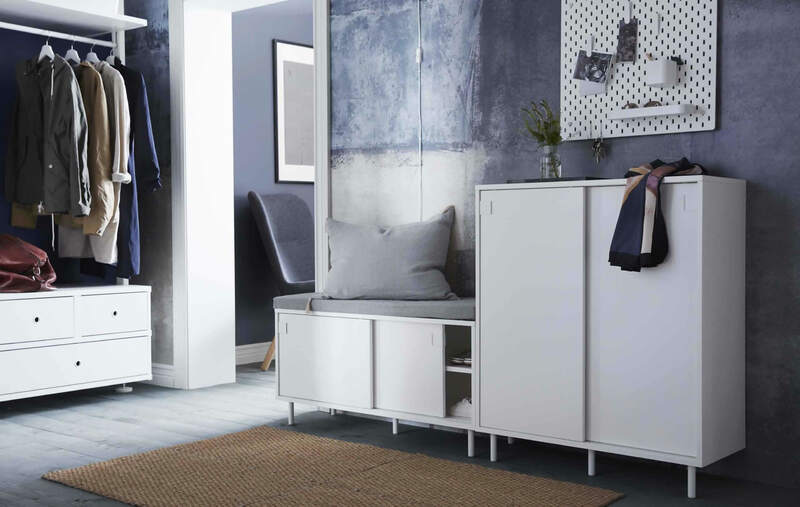 A smart shoe storage cabinet doubles as seating for the adults. For the little ones, help them help themselves with racks they can reach. For heavier things higher up a parent can help. Keep the dirt out with a big dirt-resistant door mat (we sewed four together to make a giant one). When the kids’ side gets too messy, just close the curtain and ta-da — instant order. How do you keep open storage looking tidy? Smart selection! Keep stuff you use every day where you can see it. 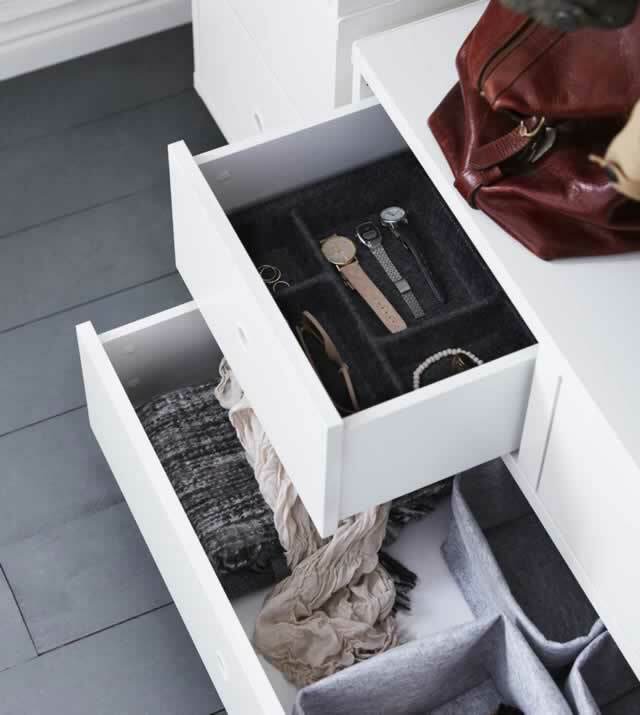 Drawers and storage boxes with lids provide flexibility and keep your hall looking ordered. Trays and baskets make it easy to find what you’re looking for. In a hurry? Put beauty essentials in a cutlery stand by the mirror for a quick fix. 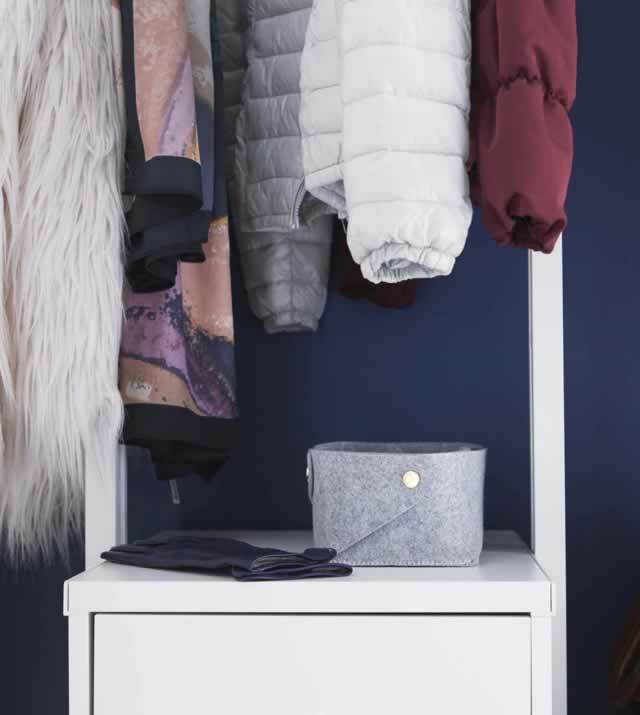 Attach a swivel hook next to the door for guests to hang their coats. Keep your footwear inside a cabinet with space-saving sliding doors. Then you’ll also have a welcoming place where you can sit down and take off your shoes. The shelves can be mounted flat or angled, so you can adapt their depth. Display your personal photos on a pegboard and add a container and shelf to store things like sunglasses and keys.